Cine India Production Present’s R.N. Films “Jhansi Ki Rani Laxmi Bai”, being produced and directed by Rajesh Mittal is going to release all over India on 30th March. Starcast Milin Gunaji, Vendana Sen Kashish, Sweta Menon, Bharat Kapoor, Surendra Pal, Rakesh Sagar, Kavita Singh, Reshab Raj, Baby Ashwariya, Rani Shetty, Anil Nagrath, Anil Dhawan, Papu Polister, Browny, Prasher, Rakesh Panday, Jhon Smit, (London) Peter (London) Ravi Patverdhan, Kiran Kumar and Mohan Joshi. Producer Chandrahas Kuchya, music Amresh Sahabadi, lyrics Jitesh Sahabadi, action Mukhtar Khan & Jony Master, editor Arun Mittal and Kamal Sahgal, art Anjuman Tiwari, dance Praveen Sharma. The DVD of Amol Production’s MAHIMA OMKARACHA was launched at Kohinor Hotel, Prabhadevi on 18th March. This is a Marathi musical album presented by Sachin Parekar, produced by Shreekant Rande, written by Ms. Vijya Namjoshi, commentary by ms. Sunita (Vidya) rande, music by Shreekant Rande and directed by Vinay Geerkar. Dr. Jayant Karandikar explained the importance of OM and said, “ OM word is complete itself. It has a magical power. We can live tension free in our daily life through the use of Omkara jaap.” Many personalities of Marathi film industry were grace the event. Nikon India has hosted a party at The Hyatt Regency Hotel, Andheri on 22nd March, where Nikon’s brand ambassador and Bollywood superstar, Priyanka Chopra launches it’s an advanced camera Nikoan1. It’s the world’s smallest and lightest camera in the world with interchangeable lens versatility and an electronic viewfinder. Priyanka said, “I love everything about the Nikaon 1 series of camera. I believe the great feature of the Nikon 1 series will help me pursue my passion for photography while also making it a fun experience.” Mr. Masahiro Suzuki, Mr. Hirotake Nozaki, Mr. Hiroshi Takashina and Sajjan Kumar all of Nikon were present in the event. MID-DAY launched it’s anthem My City...My Life! – a special anthem celebrating Mumbai’s spirit and aspirations – with the who’s who of the glamour and business world. Actress Sonam Kapoor talked at length about her experience of growing up in Mumbai, while Deepika Padukone launched the anthem with a lot of fanfare. MiD DAY’s managing director and CEO Manajit Ghoshal played host with great aplomb, talking to celebrities from various walks of life about their experiences of living in Mumbai. Needless to say, the night was abuzz with excitement that the city now had an anthem of its own. Super Hit Blockbuster Hindi film “NO ENTRY” directed by Anees Bazmee for producer Boney Kapoor will now be made in Marathi as “NO ENTRY…PUDHE DHOKA AAHEY!” The Marathi film is produced by UNDERGROUND FILMS Pvt. Ltd., will be directed by Milind Arun Kavde. Guru Thakur is the lyrics writer for this laugh riot musical which has music composed by Sargam Nakash. Top Marathi stars Bharat Jadhav, Ankush Choudhari, Kranti Redkar, Saie Tamhankar, Aniket Vishwasrao, Sai Lokur, Manava Naik and Paddy Kambli have been signed to play the lead roles that had been essayed by Anil Kapoor, Salman Khan, Lara Dutta Bipasha Basu, Fardeen Khan, Esha Deol, Celina Jetley and others in the Hindi version.The shooting of the film will be start in May 2012 on the exotic locations of Goa and Mumbai. The last day shooting of “Mumbai 125 Kms” was at filmcity on 21st March. Actress Veena Malik and Karanveer Bohra with their co-stars were participated on the last day of the shoot. This is a Second original Hindi 3D Movie in Bollywood after CHOTA CHETAN. Hemant Madhukar Director of the movie said, “I am happy that my movie has completed after getting caught by many controversies, Veena is a dedicated actors she had fulfilled her promised and at last my film shooting has come to an end.” Veena said: "It's a 3D horror film with Telugu filmmaker Hemant Madhukar, and it's really hard to shoot. Nowadays many directors claim their film are 3D but actually is a 2D film which is converted into 3D format. We are shooting in 3D which means every shot takes hours sometimes. It's really time consuming because I am playing both the 'thriller' and 'horror' element of the film." Bonny Duggal ( Producer Of London Dreams) birthday was celebrated with friends with lot of pomp and fun at his residence Woodstock, Versova on 18th march. The first to arrive was jackie Shroff who walked in with Danny Denzongpa but stayed till the end, Govinda was seen wishing the birthday boy while Javed Jaffrey came directly from the shoot. Devshi Kandhori (Heroine of Chargesheet) Rituperna sengupta, Ketan Desai, Rahul Rawail and Vipul Shah (optimystic production), Anil Sharma, Shefanjali Rao, Anjali Sharma, Aditya raj Kapoor, Natalia Kozhenova (Heroine of Anjunaa Beach), Naved Khan with his wife, Akbar Khan, Sonu Sood, Mukesh Tyagi, Diya Sharma, Vineeta Menon, Ejaz Khan overall everybody was enjoying the birthday party and it went on till the wee hours. Radio City 91.1 FM delighted its listeners with the exclusive radio premiere of the music from the much awaited thriller, Jannat 2. The music was premiered on the morning show ‘KASA KAI’ Mumbai with RJ ARCHANA AND RJ SALIL on 22nd March. Making this occasion even more memorable, Radio City 91.1 FM also celebrated EMRAAN’S birthday with great pomp and show at the studio, Bandra. Emraan Hashmi was seen enjoying himself as he relived his experiences while shooting the film and praised the music of the film. The studio was a buzz with exhilaration as the actor cut his birthday cake and premiered the music of the film on Radio. “The music of Jannat 2 is extremely melodious. The entire team of Jannat 2 has a unique taste for quality music and hence, when the team comes together, it anticipates an extraordinary musical event. This time the film is going to be even bigger and better. I am extremely delighted to participate in the radio premiere on Radio City.” Emraan Hashmi said. Mukesh Bhatt, Sanujeet Bhujabal, Marketing Director, Sony Music India,Vijay Singh CEO Fox Star Studios,Mr. Kartik Kalla, National Programming Director, Radio City 91.1 FM were present in the event. 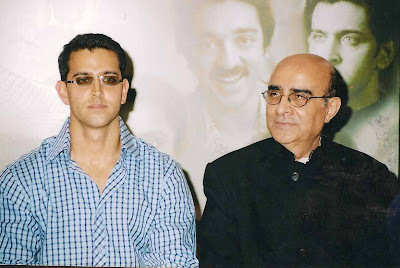 The movie is directed by Kunal Deshmukh and produced by Mahesh Bhatt & Mukesh Bhatt under the banner of Vishesh films. The music has been composed by Pritam and lyrics have been penned by Sanjay Masoomm and Mayur Puri. The film is slated to release on 4th May. Avinash Choudhary main founder of a NGO VISHWA MANAV JAGRAN MANCH (VMJM) organized two events in one day recently at Classic Club in Andheri West. He launched his production company as MANAV JAGRAN MANCH and announced the first film, which he will make on latest issue of World. Priti Jhangiani and Zeenat Aman were the first to come for the event. Jagat Guru Sankracharya came from Himalaya to wish them all the best. Other guest who came for the event were Udit Narayan, Bali Brahmbhatt, Abhimanyu Singh ,Yuki Ellias, Balwant Shastri and Anand. Zeenat Aman and Priti Jhangiani wished them all the best for their company and for film. Avinash Choudhary told media that film is easiest medium to reach the public, so he want to make the film. His plan is to do good work to support poor people through his Vishwa Manav Jagran Manch.He also honored all the guest with the memento of the company. The film will go on floor very soon. Australia based aspiring actor Shahnawaz Khan, who acted as a hero first time in Bollywood film’s “DEKHA JO PEHLI BAAR”, which is being produced by M S K Films and ready for release in April 2012, appeared in a play FOOTNOTES OF LIFE ( Hashiye Zindagi Ke) on 20th & 21st march at Prithvi Theatre, Juhu. The play is being directed by wellknown ac tor and theatre director Mrs. Nadira Zaheer Babbar on her own script. Shahnawaz has got acting training from NIDA, Sydney. He is living in India since last two years. He is learning and acting with Nadira Babbar’s EKJUTE Thaetre Group. It was his first play on the stage. He received words of praises from many Bollywood Film & TV program Makers and celebrities, who came watch the play. ABBAS-MUSTAN LAUNHES POSTER OF CHHAL..
Bollywood director due Abbas- Mustan attend the opening ceremony of COLOR’s CHHAL SHEH AUR MAAT on 13th March at JW Marriot, Juhu. Chhal.. is Color’s first foray into the social thriller genre, being produced by actress turned producer Bhairavi raichura of 24 Frames with director Nandita Mehra. Abbas-Mustan unveiled the poster of serial and said, “The show has all the elements of watching a film emotions, excitement, suspense and exhilaration that drives the story. We believe this kind of content is engaging & entertaining.”Fiction head of Colors Prashant Bhatt many other artistes were present in the event. The programme was compared by Anoop Soni. Avinash Choudhary main founder of a NGO VISHWA MANAV JAGRAN MANCH (VMJM) organized two events in one day on 14th March at Classic Club in Andheri West. He launched his production company as MANAV JAGRAN MANCH and announced the first film, which he will make on latest issue of World. Priti Jhangiani and Zeenat Aman were the first to come for the event. Jagat Guru Sankracharya came from Himalaya to wish them all the best. Other guest who came for the event were Udit Narayan, Bali Brahmbhatt, Abhimanyu Singh ,Yuki Ellias, Balwant Shastri and Anand. Zeenat Aman and Priti Jhangiani wished them all the best for their company and for film. Avinash Choudhary told media that film is easiest medium to reach the public, so he want to make the film. His plan is to do good work to support poor people through his Vishwa Manav Jagran Manch.He also honored all the guest with the memento of the company. The film will go on floor very soon. Actor John Abraham turned producer with JA Entertainment & Rising Sun Pvt. Ltd. and Eros International’s upcoming movie VICKY DONDOR, directed by Shoojit Sircar. Cinemax Multiplex, Versova hosted the first look launch of the film on 7th March. Sunil Lulla of Eros International, John Abraham, Shoojit Sircar and actors Ayushmann Khurana, Yammi Gautam & Annu Kapoor were present in the event. John Abraham has not acted in this film but he has done a special song, which will be seen at the end titles of the movie. The movie is due for release on 20th April. The opening of Soul, Indian Specialty open air restaurant & bar of Svenska Design Hotel, Andheri West was held on 4th March. There was a lavish party, in which many celebs like Ad Guru Prahlad Kakkar with wife Mitali Kakkar, Models Deepti Gujral, Jesse Randhawa, Sameer Malhotra, Aaryan Vaid and Khalid Siddiqui, Shakir Shaikh, Sandeep Soparrkar & Achla Sachdeva, Mohammed and Lucky Morani, Celebrity tarrot card reader Munisha Khatwani, RJ Siddharth Kanan, Amy Billimoria, Mehar & Alkesh Ramwani, Umair Zaffar, Arti Vijay Gupta, Sounia Gohil, Kawaljit Singh, Babita Malkani and Nachiket Barve, Viren Shah, Yogesh Lakhani, Manju Lamba (Mother of Minissha Lamba), Shamir Tandon, Sagathia, Dr. Dipankar Roy, Jasveer Kaur, Mink, Rakesh Bedi, Manav Gohil, Shweta Kawatra, Suchitra Pillai, Abhishek Awasthi, Pooja Missra, Nazia Shaikh, Kiran Janjania, Samir Ali Khan, Luv Ranjan, Shraddha Sharma, Mansi Verma, DJ Llyod were present. Actress Shilpa Shetty, married London-based businessman Raj Kundra in Nov 2009 and now she is expecting her first child with husband Raj Kundra in May 2012. 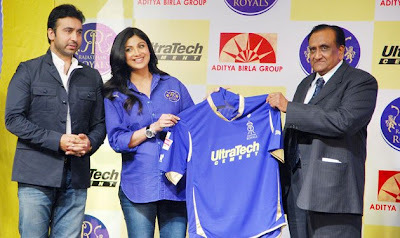 She is looking forward to cheer her Rajasthan Royals team in the new season of the Indian Premier League. Recently she launched new Jercy for her team at Hotel JW, Juhu, Mummai. The music of Cine India Production present’s R. N. Films JHANSI KI RANI LAXMI BAI has released by Eva Music on 6th March at Recreation Club, Andheri, West. Writer, Producer & Director : Rajesh Mittal, Producer : Chandrahans Kuchya, Music : Amresh Shahabadi, Lyrics : Jitesh Shahabadi. Cast: Milind Gunaji, Sweta Menon, Bharat Kapoor, Surendra Pal, Kavita Singh, Rishabh Raj, Anil Nagrath, Rudra Kaushik, Balraj Biz, Rakesh Pandey, Kiran Kumar & Mohan Joshi. The film is due for release on 16th March. Delicious food is what everyone always wishes for and for that if one gets to witness an ambiance, it becomes a treat of a hectic life in city of dreams. To all food lovers, yesterday was announced the opening of Soul, alfresco Indian Specialty restaurant & bar located on the rooftop of Svenska Design Hotel, Mumbai. The party was special as the cast of internationally acclaimed ‘Love Wrinkle Free’ was seen at the launch of this special moment. The movie is grabbing eyeballs with its unique theme, so where love is carefree, food is surely going to be tasty. The experience of dining under the stars with such mouth-watering Indian delicacies is enhanced by a Bar with sweeping views of the city landscape, offering inventive Indian drinks such as Chatka Mary and Sharaabi Naryal, amongst others. New find Nathalia Kaur has done an item number in Ram Gopal Verma’s upcoming film ‘Department’. The half Indian and half Brazilian model has impressed Ramu so much that he decided to hone her skills for his next film. The director is quite happy that the original choice of the film Sunny Leone wasn’t able to do the item song and that eventually went to Nathalia. She has done the ‘Dan Dan’song is the sheer good fortune of “Department”. BIG DIGITAL LAUNCHES ROMANTIC ALBUM "LOVE IS IN THE AIR"
BIG Digital, the Digital arm of Reliance Broadcast Network Ltd. launches ‘Love is in the Air’, the love ballads that epitomize the true feeling of love, in some of the best voices of the Indian music industry which include Alka Yagnik, Shaan, Babul Supriyo, Javed Ali, Shankar Mahadevan and Neha Bhasin. The album was launched on 1st March at the 92.7 BIG FM Studios amidst great pomp and fair, allowing music lover’s immediate access to the best from the world of Indian music. This album is a collection of fresh and soulful music and promises to stimulate and electrify music lovers around the country. It will make use of multi-media promotions across different media platforms and networks including Radio, Television, Digital, out of home and also extend to on-ground concerts with these artists. Sampada Vaze brand ambassador of international brand French on 28th February have hosted a party for her friends at Wink at the Taj. 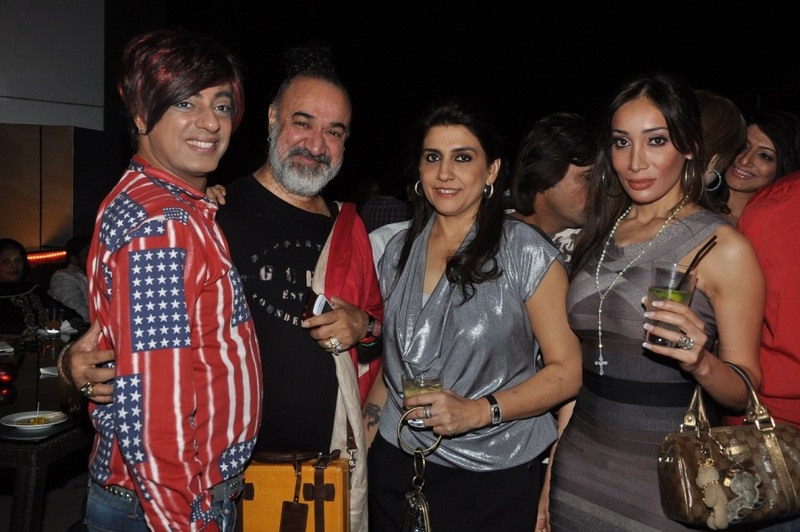 To name a few, celebrities present in the party were Rose Heinemen ( a well known model on the ramp and also won Gladrags and Femina Ms India.) Shivam Singh one of the popular contestant Survivor India. Sampada Vaze with an enviable track record of appearances in over a whopping 150 commercials across various media, has also anchored a stand-up comedy show & played the lead in 3 popular TV serials to mention a few of her accomplishments. Check out the attached pictures of the party. Veena Malik Celebrated her Birthday with her friends and Co- Stars on 26th Feb Night at Sheesha Sky Lounge, Juhu. After returning from Dubai Veena was given a surprise by her Friends the movement she set her foot in India. The first to walk in was Rajiv kashyap who was seen talking about his film and enacting a birthday scene with her next to come was Rajiv Ruia and Rajan verma who were seen in high spirit. Hemant Madhukar did a special magic performance for veena where he got the cake from a empty tray, bobby darling was seen bonding with Anand Balraj, while vijay bhatia and Rashmi pitre were seen engrossed among themselves. Veena Says, “I am so happy that my fans love me so much”. Ishq Bector was seen rocking at the party. Ishq Bector was seen talking to a Japanese Actress Ayako Sekimoto. Karanvir Bohra walked in late direct from the shoot and was seen enjoying the party overall. It was veena day and everybody was in high spirit. Everybody applaud and admire stars and superstars of the industry. But real star makers are those whom these stars and superstars admire and they are none other than the acting gurus who believed and polished the actors when they were nobody. One of the prominent name amongst them is that of Kishore Namit Kapoor who is behind the biggest names in the industry like Hrithik Roshan, Kareena Kapoor, Saif Ali Khan, Priyanka Chopra, Akshay Khanna, and Ranveer Singh. So much is his credibility that for any star son to start his/her carrier, it is now almost mandatory to join Kishore Namit Kapoor's acting institute. But according to him “I’m just a tool to polish and bring forward whatever is already in an actor. But yes, the love and affection I get from my ex- students makes me feel proud of them."